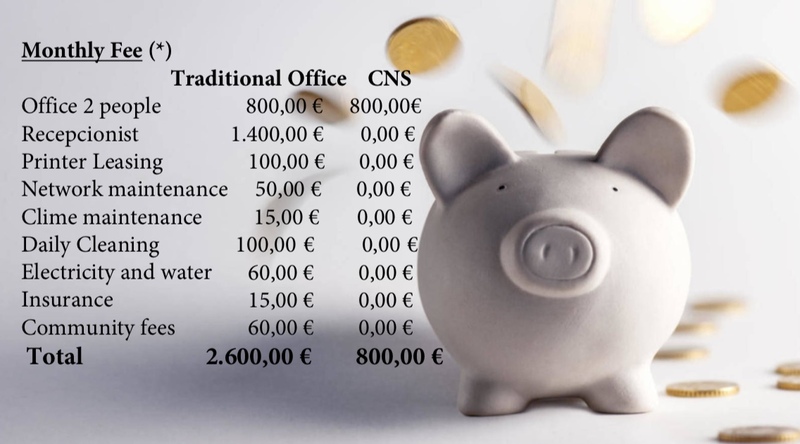 Additional costs: Choosing the traditional office option usually requires providing a bank guarantee of 3 or 6 monthly payments and a minimum commitment of permanence of 12 months. The client decides the permanence in CNS and the notice to leave the office is only 1 month, being able to contract an office for days or even for hours. 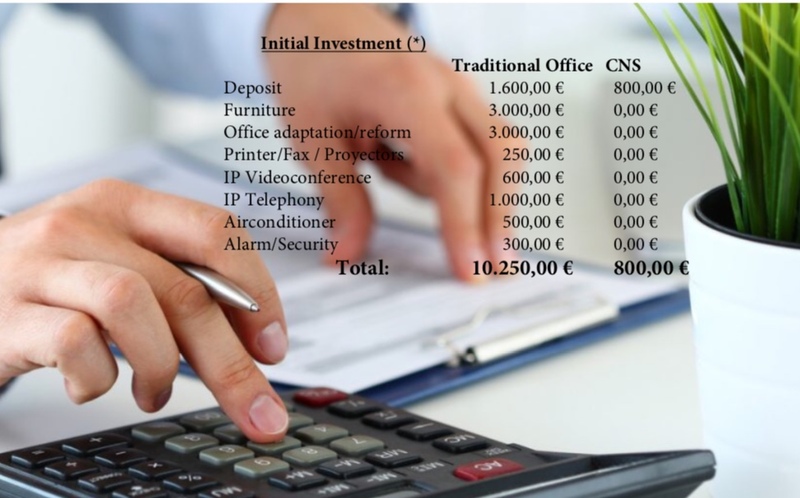 Time costs on troubleshoot: Time and costs used on usual office troubleshooting is not considered in this comparative, either with maintenance companies, such as plumbers, electricians, painters, etc. or with the repair and/or replacement of material of the broken or spoil material due to the as time goes by, due to the wear and usage.